From my 2008 Week In The Life Album. This is a creative adventure. It requires little more than a camera and a willingness to pay attention and gather up stuff from your daily life. 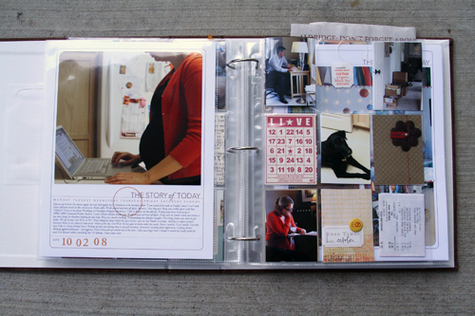 Even if you have never scrapbooked before you can do this project. This will be a pared down project from the one I have taught previously. Right now I am most interested in the photos and the words and that is where my focus will be throughout the week. Some of you out there may be thinking: my life is boring or I do the same thing everyday or what story do I have to tell? As with many of the projects I have created, the documentation process is just as (and maybe more) important than the creative process of actually putting the album together. Most likely you will learn something about yourself over the course of this project. I learn something new every time. From my 2007 Week In The Life album. TAKE PHOTOS. Commit to keeping your camera with you throughout the day. Capture everything. Capture things that may seem silly or dumb. Capture the normal. Capture little things. Capture your environment. Here's a couple questions I ask myself or I keep in mind as I am going about this project: what's my daily routine, where did I go, who did I see, what do I do, what does the inside of my home look like, where do I spend the most time, etc. Capture stuff that you use everyday: your computer, a coffee mug, a favorite pair of shoes, a book, etc. Make sure to take a photo of yourself each day. See the list of possible photos below. UPLOAD PHOTOS. Take a bit of time each evening to upload your photos for the day. You can use this time to eliminate duplicate shots and if you are really on top of things you could print them out or upload them to your favorite developer to have them ready to create with the following week. DESIGNATE A PLACE FOR NOTES. Have a notebook or a couple sheets of paper set aside to jot down notes, stories, things to remember about each day. Don't make this complicated. Don't run out and buy a new notebook. The back of some junk letters, the leftover pages in a journal you have always meant to get around to, etc. You simply need somewhere to write down notes over the course of the day. TAKE NOTES. Once you set up something to write on, do the writing. What should you write? Thoughts you have during the day, things your kids or your boss or your partner say, things you notice (simple and profound), what you ate, etc. Go for the basics. These notes will be transferred into your album when the time comes. See more about recording the story under the category heading below. DESIGNATE A PLACE TO STORE LIFE-STUFF. Part of the process is collecting bits and pieces of your life over the course of the week. For this I recommend setting up an envelope or folder for each day. You may use some of this stuff and you may not. I tend to keep things like receipts, handwritten notes, etc. 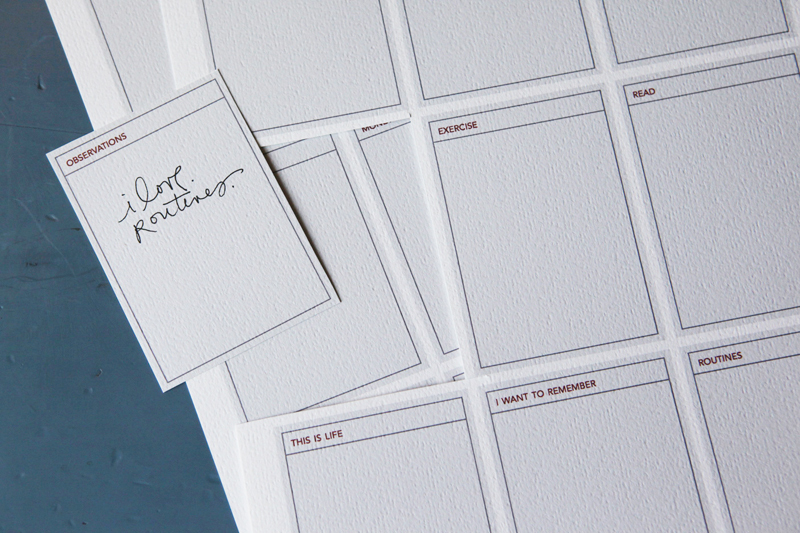 These will be companions to your photos + words. From my 2006 Week In The Life album. - your child's room, toys, favorite books, etc. To prepare for my journaling in the past I have designated categories: food, gratitude, work, stuff, etc. You can totally implement something like this for yourself - it helps keep you focused on what you need to document in a written format - or you can be more free-flowing. This year I made up journal cards with a bunch of categories to fit in the sleeves of the baseball card page protectors. 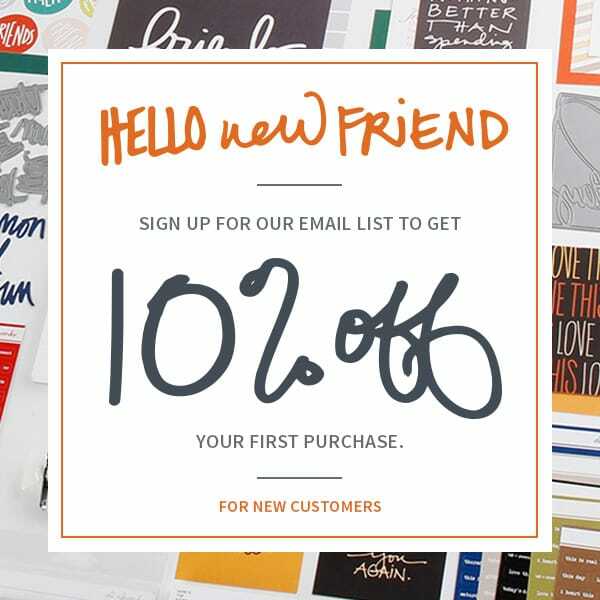 The journal card package includes png, psd, and a pdf file for easy printing. Just make sure you write something as you go along. It is way too hard to try to remember what the heck happened on a specific even a few days later. (1) This is not a class. I do not have a finished project to show you or specific instructions to follow. I will be working alongside and adjusting and going with the flow from Monday through Sunday. It's a journey we can embark on together. One of the big reasons I am doing this on my blog is so that I will actually do the project. You are making me accountable. This project is worth all the effort you will put into it...but it does take work. (2) This does not have to be a 12x12 album. It can be smaller or larger. You can include tons of stuff or just photos + words. Part of the process will be figuring out how to showcase your photos + stuff. One of the things I am excited about in relation to sharing this journey is the variety of different albums that will result. Part of what I will be thinking about as I go along next week is how I want to put the album together. I am envisioning a hybrid combination of paper and digital elements. Other than that I will be using things I have on hand here at home. (3) Take this one day at a time. If you take a ton of photos on Monday and only a couple on Tuesday - no big deal. Let's get rid of that pressure before we even begin. (4) Begin with the end in mind. If you are one of those people that needs to know where you are headed (as in you need to know what your album is going to look like) before you gather content, I suggest spending some time thinking about what you want your album to look like this weekend. I've spent time this week planning & thinking about how I want to put my album together and will share more of that with you tomorrow. 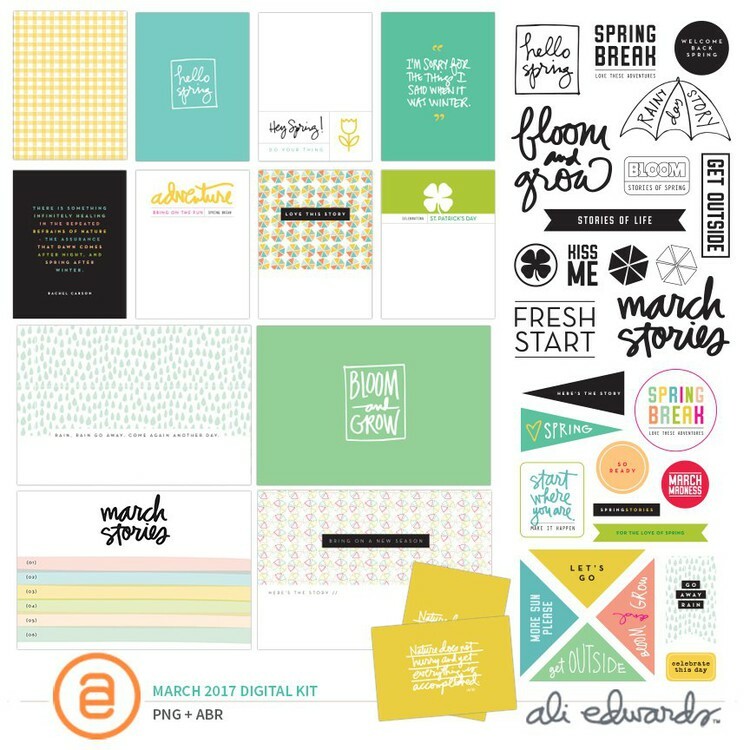 A new 12x12 digital layered template album as well as hybrid pieces I am using for my week is also available. (5) Special giveaway. I'm excited to announce that there will be a big giveaway going on next week with a really cool group of sponsors. Look for more information on Monday. Can't wait to do this again! My life is so different each time I capture the week. The first time it was just me + my husband, last time I was pregnant, and this time we have a 3 month old at home! I'm so glad I have documented/am documenting each different stage. cool. I'm excited to start. I set up a template to drop photos in place, but feel like it needs a bit more tweaking. thanks for the prompt, Ali. Love this idea--retweeted it, girl! I've got everything set up and ready to go. I am definately keeping it very simple this go round. I'm in! For the first time I'm making the commitment and have a few things ready to go. Have really enjoyed and APPRECIATED the notes, ideas, and encouragement these last few weeks. Can't wait to get started - maybe I'll begin today!! I have followed you on this project a few times but have never thought I had a 'busy' enough to be worth documenting. However, I have decided to just take the plunge. Like you said, it is more about documenting the 'everyday stuff'. I am going to do this with you all next week. I am excited about the creative process of doing something different and learning to 'look' at the things we tend to overlook and take for granted. Thanks for the encouragement. This is a very important time in my life document. Even though I think I'm boring, the truth is, my children will someday treasure this glimpse into my life right now: 9 months into our marriage, my husband is beginning his fourth year at a regional airline, I'm unemployed, I'm still learning our way around my new home in Georgia after moving from North Dakota when we got married last summer, and we're in our first married home. I've heard stories about this time in my parents' lives, but never seen photos of it. I think my future kids will be fascinated by this, even if I find it mundane. Can we get the code for the countdown image to include on our blogs? I took Ali's CKU album class in 2008 and I just love my album! I did a week when it was just my son and I, while my husband was deployed, I would love to do one with him now home...but I do have a question. 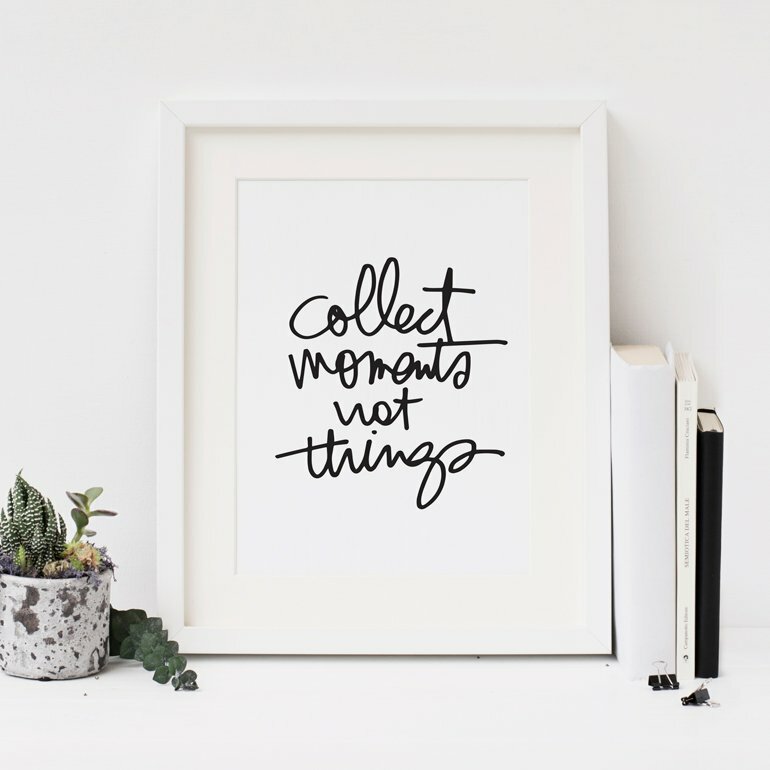 How do we incorporate this if we are already documenting our everyday with Project Life? There is so much buzz about this on the blogs I read that I decided to jump on board....I can't wait to get started! so inspiring on so many levels. ready to jump in. thanks!! I am so looking forward to doing this. I work from home with my husband, children have flown the nest, no grand children yet so it'll be interesting to see how I document a week. Thanks for motivating me to do this again! I still LOVE my album from CKU 2006, and although I've dreamed of doing this again, I never have! I'm also excited that the week you chose includes my son's second birthday. What a great way to capture all of the little things leading up to his special day. This sounds great. I am also going to save this link because I am thinking this would be a great way to re-launch my writer's workshop next year at the start of the year. 2 of my 3 classes will be returning students. I will use this with at least one class. I know that they will love the picture/writing combo, as well as a new way to look at the slice of life stories that they are used to from this year. This is a more in-depth daily look over the course of seven days compared to Project Life. Capture Life, over the course of the year, will give you an awesome look at a year in your life. 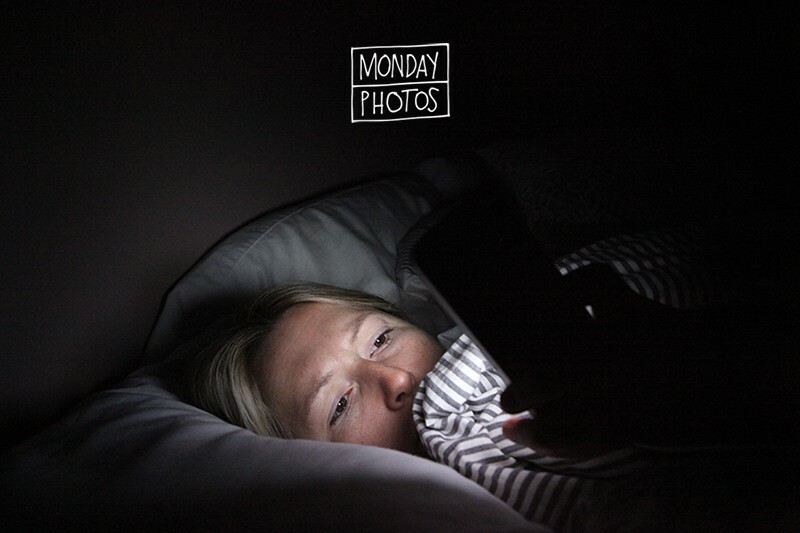 This album gives a more detailed look into the 24 hours of your life from a Monday through Sunday. Consider picking some things to document/track/record for the week that you have only just touched on in your Project Life album. Will the hybrid/digital items (not the full album) be available in 8.5x11 in size like last time? I am so excited for this Project! I love the fact that you are going to sell some of your ideas on Designer Digitalis. I was wondering if you would post your cards that you did for your project 365 you made in Adobe Illustrator as well for sale? I would REALLY love to buy those cards as well. Just a thought! Thanks for all your wonderful ideas and inspiration! I am really excited to join in this year after doing this before in 2008. A lot has changed, and even though my week looks pretty routine-esque so far, it is definitely different from last time I documented it. Plus, the stuff / writing from 2008 actually never found a home and is still in the envelopes I put it in, so my goal is to finish it up and give it a space alongside this year's documentation. 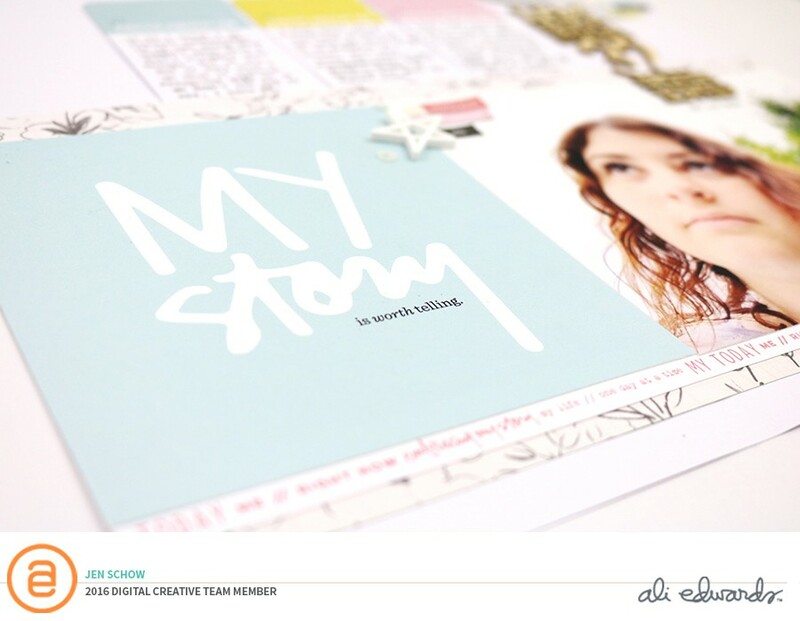 … I ordered my first 12x12 album for this project and it is on it' way! This feels so, so great. I actually pulled out my WIL album from Oct. 2008 that is 90% finished. I really want to put the finishing touches on this project so that I can concentrate 100% on next week. It's been a great reminder of the words + photos that I'd like to collect again.